Simmer for 3 hours. 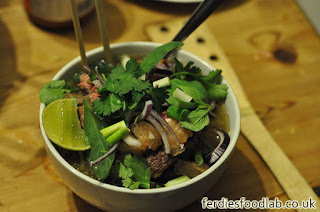 Take the steak (for the pho component) out of the fridge so it’s at room temp when you cook it. Just before the stock is due to be ready. Remove the short ribs and place on a chopping board. Cook noodles for 2 minutes in boiling water, then strain and place in hot serving bowls. Add some oil (a glug - pour for 1/2 second) to the steaks and turn them to cover them with oil. Place them into a hot pan. Turn them once the underside is brown, 2-3 minutes max. Remove and place on a chopping board once the other side is brown. 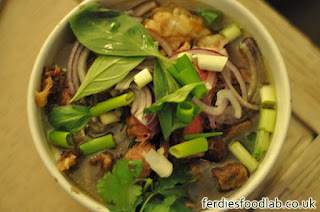 Leave them there (to rest) while prepping the garnish & assembling the pho. 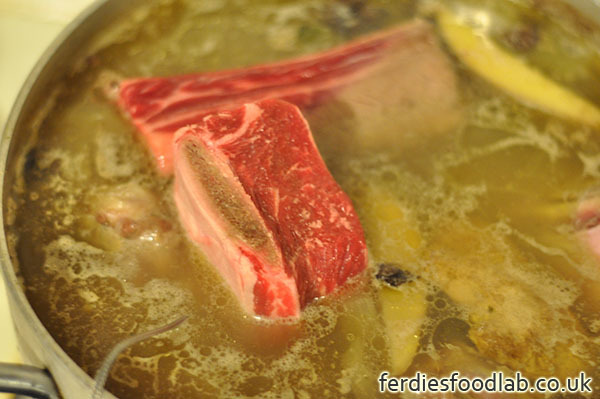 Remove the meat from the short ribs by cutting along the flat part of the bone. Slice the meat thinly. Prep the garnishes as shown. Share out the oxtail and broth into bowls, slice the steak and garnish!! 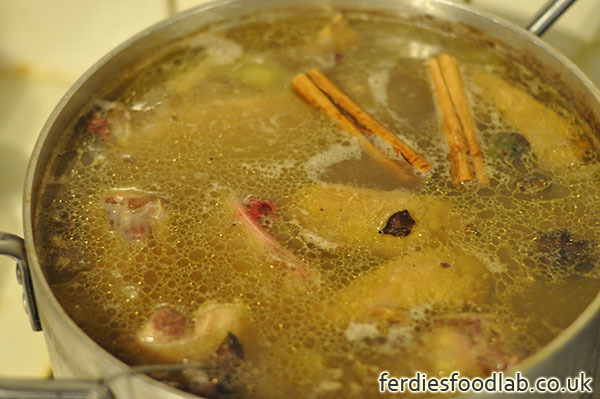 Boil the meat separately before you start for 5 minutes, and discard the water it was boiled in. Char the ginger and onion on a griddle pan, this adds a nice flavour giving a more complex broth. Skim scum off the broth constantly as it’s cooking. Put the stock including oxtail and sliced short rib in a resealable plastic bags. 600g / bag. Bust it out of the freezer when you want a pho! Nuke it for 10mins (800W microwave). Make the noodles and steak while it defrosts! Great hangover cure with minimal effort!